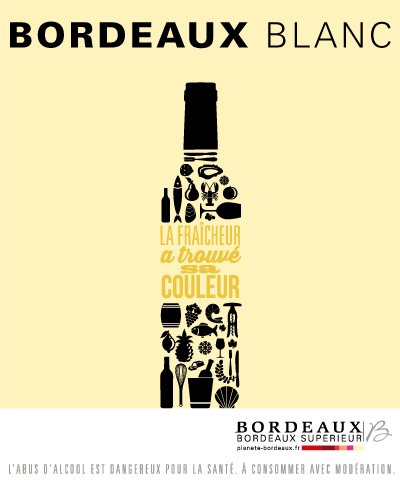 Bordeaux whites are characterized by a light fruity aroma (apricot, citrus, peach), with floral (box tree, locust tree flower) and sometimes a hint of toasted aromas coming from an ageing in oak barrels. Very refreshing, no need to wait to drink these wines. Bordeaux isn’t just red but also great dry whites! From the aperitif to desert, a wine like this can be appreciated anywhere and with any type of food, from an aperitif to sea food, as long as it is served at a low temperature (6 or 7 degrees). This white can also be served with white meat such as roast chicken. 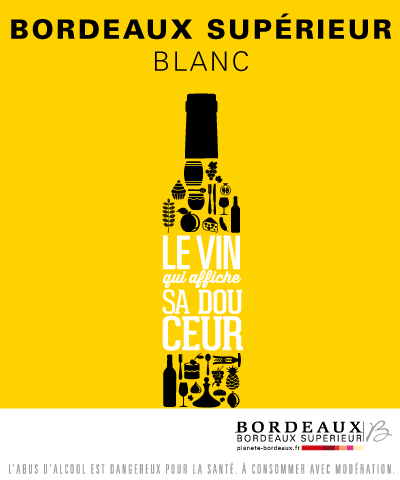 There is no going wrong with Bordeaux blanc. It will charm you with its delicate fruity and floral aromas. Stocking time: 2 years for a dry white, 3 to 5 years for wines aged in oak barrels. Even if this wine is made from the same grape varieties, this sweet wine isn’t anything like a dry white Bordeaux. Made with overripe grapes, this wine can be kept in the cellar for a few years. It’s very aromatic and sweet, but boasts freshness. Cellaring time: 2 to 3 years. 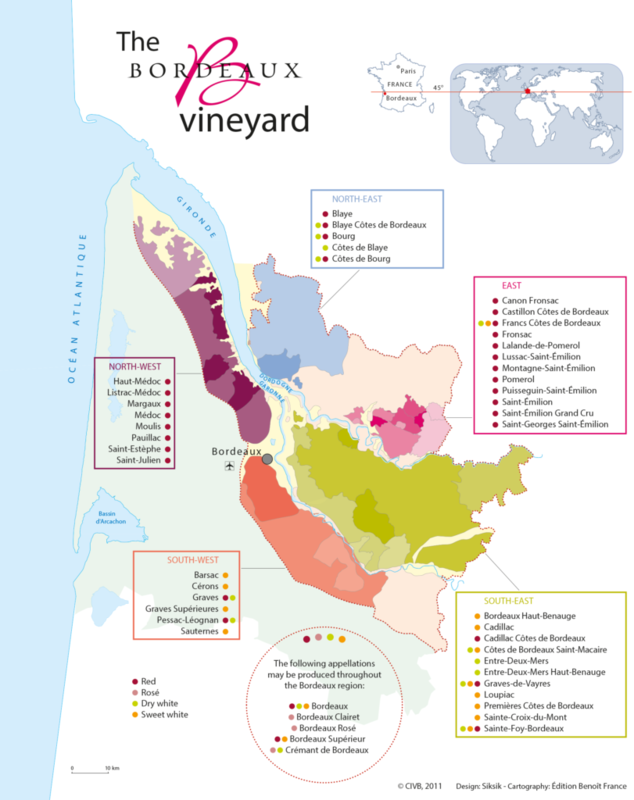 Bordeaux rosé and Bordeaux clairet are said to be summer wines. These beautiful light, delicate wines are so refreshing. These soft wines boast freshness and are meant to be tasted as soon as possible. Made with love, to brighten up your table. No need to be a pro to taste these wines. Bordeaux rosé and Bordeaux clairet are simple yet so good. Sophisticated and refined, we just love them. 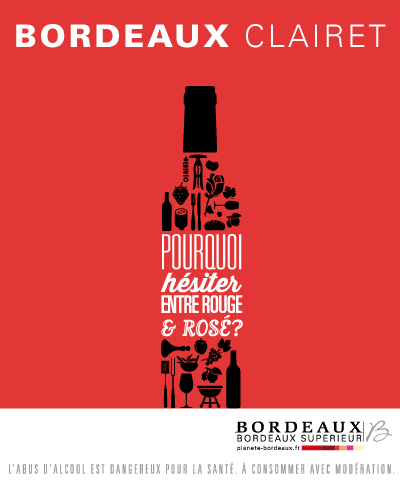 Bordeaux Clairet, why hesitate between a red and a rosé? One of the first wines produced from the Bordelaise vineyard, Bordeaux clairet has a much deeper colour than the rosé. More vinous than rosés, but much lighter than red especially when tasted at the right temperature (11 degrees). This wine offers an intense bouquet of red fruits and subtle tannins that make it more vinous, full bodied than a Bordeaux rosé. Benefiting from a vast territory , diversity of soil, climate and vines, Bordeaux offers a large range of wonderful wines to suit everyone. Even if each bottle is unique, this AOC boasts ripe fruit. Bordeaux red is a moment of conviviality and we say that its simplicity is in a bottle. It doesn’t matter how fancy or not your meal is, Bordeaux red will always stand tall on a table. An easy drinking wine that everyone can afford and appreciate on any occasion. A beautiful structure with a lovely roundness in mouth. When you think about « Bordeaux » , Château comes to mind, but Bordeaux can also mean much more. Meaning that a good red can also come from a quality blend made in trader’s wineries or wine cooperatives. Behind the label hides much more than a simple red wine, it hides a vintage of secrets just waiting to be discovered. Often made from old vines, an ageing of nine months minimum is required, mostly in oak barrels … To earn the appellation of Bordeaux Superieur, wine makers are particularly strict when it comes to the elaboration of their Bordeaux superieur in order to produce a quality red wine. This is also the chance for the winemaker to excel in his work. Even if Bordeaux Superieur are consumed young, they are still very eloquent, and with a bit of patience, they turn out to be rich with aromatic intensity. 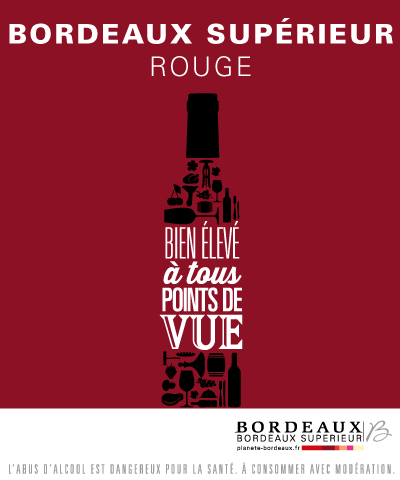 Bordeaux Supérieur red reveals aromas of ripe fruits, spices and toasted notes. It is said that these wines don’t age, but improve on special occasions. 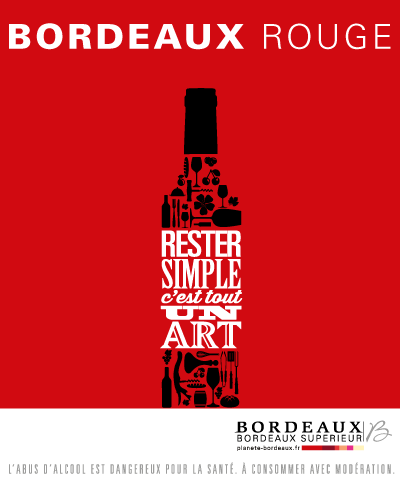 Have fun discovering and of course sharing a fine bottle of Bordeaux Supérieur. Cremant already existed in the 19th century, but it wasn’t until 1990 that the AOC was made. It’s now part of the biggest wines in the region of Bordeaux. Like its cousins from Alsace, Bourgogne and Champagne, Cremant is still made with the traditional methods thanks to the famous Dom Perignon. 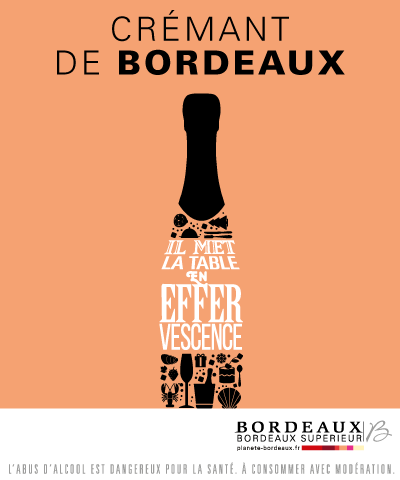 Fine and persistent bubbles, glittering dress, Crément de Bordeaux is the perfect option for festive occasions. Served in an ice bucket at 5 to 6 degrees. Nothing better than starting off the night with a pop! Its freshness and liveliness brings out the best of an aperitif. If you wish, It can also accompany a three course meal. 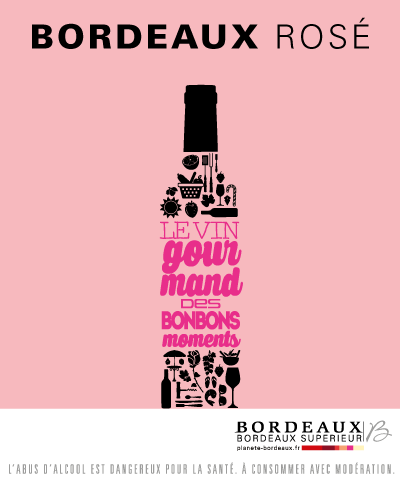 The geographical indication of Fine Bordeaux indicates that all eaux-de-vies must be aged in oak containers. This brandy is obtained by a double distillation of white grape varieties. 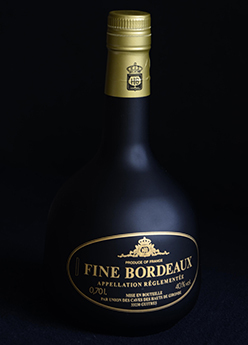 Fine Bordeaux has a distinct amber colour and characterized by its intense but subtle nose with fruity, floral and citrus fruit aromas, as well as a discreet aroma of butter and honey. In mouth, the attack is soft and pleasant expressive power and generosity in every sip. The end of mouth is persistent and subtle with a fruity side that covers the whole palate. The year of harvest in ten years. To appreciate the value of Bordeaux, no need to complicate things. So here are a few tips to evaluate your Bordeaux like an expert. All you need to do is use your senses. Hold your glass to the light and give it a tilt. This will allow you to see the wine’s complete colour range, reflects and clarity. You can then give the glass a quick swirl to observe the wine’s ‘legs’ or ‘tears’ that run down the side of the glass. Take a sniff, without swirling the wine, then a second time with a swirl. This movement brings out more aromas. There are potentially thousands of aroma components in one glass of wine, so let the information filter through to your brain. Each person’s perception of a wine can be different. Finally, take a small sip of wine and swirl it around the mouth. Breathe in air to filter the wine for about ten seconds to let it express itself. The first thing you will notice is the suppleness, freshness and volume of the wine. Then the amount of structure the wine has. The persistence of the aromas will reveal themselves when you swallow the wine. Last tip, it is best to use a tulip shaped glass to appreciate the wines full range of flavours and aromas. AOC Bordeaux and Bordeaux Supérieur: the largest vineyard of fine wines in the world. It represents more than half of the Girondin vineyard with 4 colors and 7 Appellations d’Origine Contrôlée. 7 good reasons to combine to love Bordeaux. You are registered. You will receive an email to confirm your registration. Please correct your e-mail address. Find out the definitions for all the “Important Wine Terms” and “wine speack”.